How To Get The Most Unforgotten Indochina Itinerary In 2 Weeks? 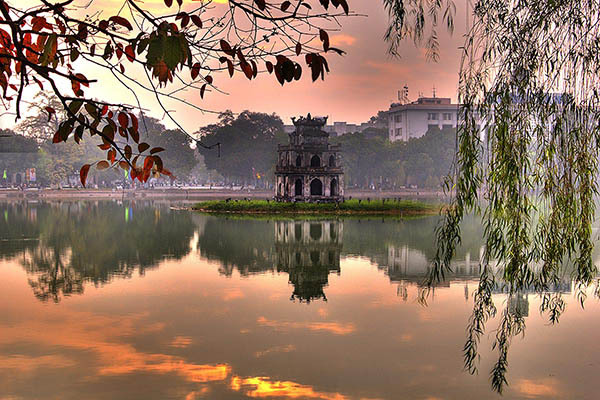 You are going to discover the heart and soul of Indochina on this tour of three diverse countries like Vietnam, Cambodia and Laos. Travel south through Vietnam from Hanoi to Ho Chi Minh City, before crossing into Cambodia to discover the majestic Angkor Wat complex and the capital Phnom Penh. The trip ends in magical Laos with stays in laid-back Vientiane and Luang Prabang, the spiritual capital of this former French colony. In this article, you will enjoy the most unforgotten Indochina itinerary in 2 weeks. Coming here, don’t forget to enjoy a Water Puppet show or visiting the night market – where you can buy some souvenirs at a low price. Cat Cat Village is located on the Muong Hoa Valley, which is a home of the H’Mong. 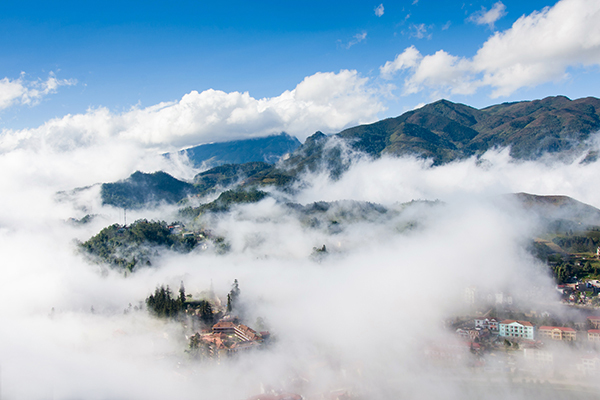 It is far from Sapa Town about 3 kilometers and takes you 45 minutes to walk here. It is easy to trek village in order to admire the rice field and corn. Visiting this village, you can have an opportunity to visit a big waterfall in the stream. Not only that, you will know how to make the clothing, they are dyed and embroidered with beautiful designs. Ta Phin is a house of Red Dao’s people are famous for a rich culture. The mountainous road can make it difficult for cars to move, so you should hire a “xe om”, or taxi, and the experienced driver will take you to the right place at a very reasonable price with many useful pieces of advice. Coming here, you will immediately catch sight of groups of Red Dao’s women gathering together. They keep inside their hand’s colorful reels of thread and cloths. The local people offer the goods to the customers. This village is known as the “brocade village”, so you can know how to make the distinctively handmade brocades by ethnic monitories. All of the products are made by the numerous bright colors and patterns including the bag, scarf, purse, to skirt, and coat. Ta Phin is providing brocades for shops and exporting to foreign countries as well. Come to two villages Lao Chai- Ta Van, you can grace the life of ethnic minorities, admire the spectacular natural scenery with the terraced rice fields. You will know how they make their traditional clothes, handicraft, indigo… During the time in Ta Van village, you are recommended to taste some special dishes of ethnic Giay such as roast fish, horse meat, sticky rice, enjoy festivals, folk games: Nao Cong, Roong Pooc…or participate in tours of the village. Of course, the biggest valley which you shouldn’t miss as it offers to the awesome landscape of the golden rice terrace field in Vietnam. Continuously, coming to Ta Van which is a small group of Dzay people in Northern Vietnam, they still keep a rich and traditional culture. Bac Ha market is a trading center and meeting place for couples, friends, and relatives every Sunday. It is the largest market in the area and attracts tourists and offers foods, animals, clothes and household goods. Bac Ha Market is not only the place for exchanging the goods but also a place for exploring the culture. On the market days, all paths and mountain roads are full of people and horses pouring into the market. People usually eat a soup pan. There are many different ethnic groups like Flower H’mong, Phu La, Black Dao, and Nung minorities come here to buy and sell local products that cannot be found elsewhere. 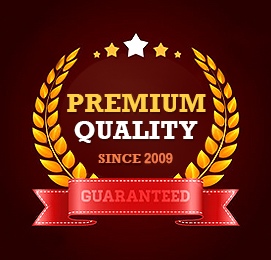 It ensures that you will enjoy the “fresh” meat in the direction of strict vegetarianism. Thien Mu Pagoda which is the oldest monastery in Hue, dating back to the 17th century. Then we visit the Royal Citadel & the Imperial City, the glory of Hue. Emperor Gia Long modeled this Royal Citadel on the Forbidden City in Beijing, China. First is the Imperial City, housing the palaces, pavilions, and religious ceremonies. Then we visit Forbidden Purple City suffered the extensive damage during the Vietnam War and little remains of the original structure -these ruins are currently being restored by UNESCO as it is a World Heritage Site. Ho Chi Minh City owns a modern office, style pagodas, and traditional food and it creates a dynamic urban area in a very special sense. 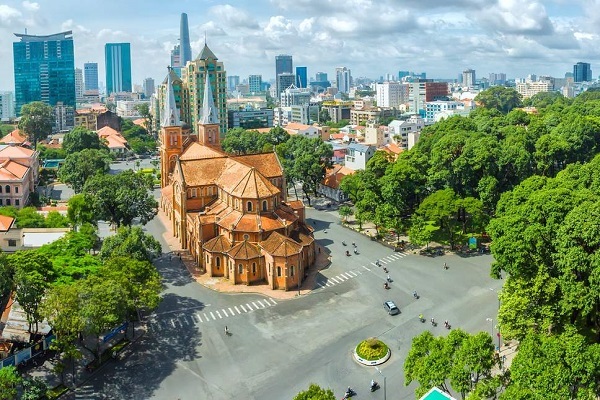 You will spend the full day discovering the most attractive sites in Ho Chi Minh, which will help you to learn about the history and also the culture of this land. Notre Dame Cathedral is considered the symbol of this dynamic city in the downtown of Ho Chi Minh. The Central Post Office is one of the oldest buildings in Saigon in Vietnam. 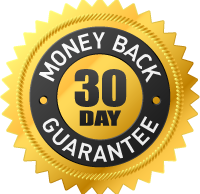 It offers all types of the postal services such as selling postcards, stamps with cheaper prices and mailing. Especially, foreigners completely use the money exchange service there. The Reunification Palace is a blend of traditional ritual and modern architecture. Independence Palace was built for a long time. The war command room will be set up maps on its walls and equipment. And the War Remnants Museum is well-known as the exhibition relating to the American phase, which is the house for Displaying War Crimes of American Imperialism. Ben Thanh market is the best place offering the local handicrafts, branded goods, and other souvenirs. 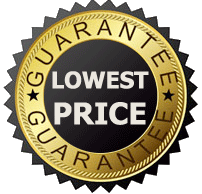 However, you should bargain the price of the goods you want. Here, you can get a taste of traditional foods and drinks. Ben Thanh market is the place has a lot of delicious foods like spices, nuts, meat, and local fruits. Firstly, you move to Ben Tre. A small boat is a popular transportation in this area, so you can use it to start your sightseeing around the waterways of Mekong Delta. Taking a boat to the Cai Rang market, you will feel the hustle and bustle of a floating market – the outstanding feature of this land. From your boat, you can see the other boats full of particular items such as fruit, daily tools, traditional foods, even the floating restaurant, cafe… People can exchange the goods, for example, changing the rice to fruit or daily tools. Vietnam and Cambodia are two near neighbors so it is easy to transfer between. Phnom Penh is famous for Royal Palace, the Silver Pagoda, and the National Museum. You can climb the hill to Wat Phnom, the city’s main temple. Let’s experience with a Tuk Tuk for 20$ for the entire day, you will get a strange feeling. Next, Silver Pagoda is located in the southern portion of the Royal Palace complex, Wat Preah Keo Morakot. The pagoda is where the King worshiped, prayed and practiced every Buddhist Silas Day. The National Museum of Arts is the country’s largest archeological and cultural history museum. It helps you to have a sight on the cultural side of Cambodian history dating back to the 4th century. Siem Reap is an ideal base to explore Cambodia’s Angkor Temple complex. It is known as the gods of the good and evil line the entrance. Angkor Thom is famous for 54 towers decorated with over 200 smiling faces of Avalokitesvara, the Phimeanakas, the Terrace of the Leper King, the Royal Enclosure, and the Elephants Terrace. Another destination in Indochina itinerary is Angkor Wat. Coming here, you admire many temples near the modern city of Siem Reap so the way is convenient. For distance, these temples include Angkor Thom, Bayon Temples and Ta Prohm, Phimeanakas, and the Terrace of Elephants. Especially, one of the famous temples is Ta Prohm which is instantly recognizable which was a key setting in the hit movie, Tomb Raider, chosen for its exotic. Additionally, the temple structure is quite smaller than others, but its detailed carvings, which depict famous Hindu tales. Continuously, you visit the temple of Banteay Srei or ‘Citadel of the Women’. Tonle Sap Lake is the largest lake in South East Asia and is providing more than half of the fish consumed in Cambodia. The men fishers are lived in the floating villages, mobile-houses. The famous floating village at the edge of the lake is Chong Khneas. You will explore several ethnic groups. In there, you will enjoy stunning foods such as fresh fruits, sticky rice, and consist of a soup, a salad, a fish dish, vegetables. Another destination in Indochina itinerary is the magnificent Wat Xiengthong – classical Laotian architecture. We ensure that the landscape will offer you a breathtaking view before reaching the mysterious Pak Ou Caves as its various shapes and sizes left by pilgrims. Continuously, you will stop at Ban Muang Keo, a well-known village for its traditional Lao rice whiskey distilling. Ban Xangkhong is a village well-known for the silk weavings with natural dyes so you should not miss in the trip. From the Elephant Camp, you will cross the Nam Khan River. After that, you will ride in local village gardens. After crossing the trail of Falls, you will have sight of a natural, crystal clear stream flowing down from the mountains which feed the Tad Sae Waterfall. Next, you walk down and visit the great place for relaxing like the detailed background of the Tad Sae Waterfall, before heading back to the Elephant Camp. 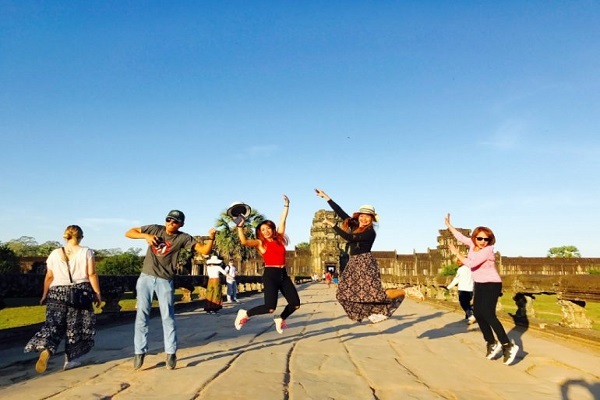 Vientiane is a charming capital as it is accumulated the interesting culture of Lao, Thai, Chinese, Vietnamese, French, and American. You will have the major sights of Wat Sisaket, the oldest temple with thousands of miniature Buddha statues, and the former royal temple of Wat Prakeo. These places are known as the housed the famous Emerald Buddha Image.